It is an old English use of the word "apple" and does not refer to the fruit we call the "apple" today. It refers to the center of the pupil of the eye. When you make something the "apple of your eye", it means to watch over it and protect and cherish it. Her name is beautiful. :) YOU are beautiful. Congrats, again, sweet mama. I love it!! You look gorgeous. Apple is the name of one of my very best childhood friends =) What a beautiful name that has such a sweet background. FYI, my friend Apple is a great person. She's really smart, kind, works as a nurse, and is so pretty. I know your daughter will carry those same qualities. Casey! I love it! Can't wait to welcome Apple to the world! Simply beautiful! I adore this! absolutely lovely. so happy for you and your sweet girl. such a precious name!! :) i love the meaning behind it. I know I already knew the name, but seeing it with the scriptures makes it so real. Sedric and I went shopping right after I got your text, and we picked out something sweet for Miss Apple. Expect it soon...it needs some handmade touches first though. :) Love you! Love her! Love this post! I love it when there is a meaning behind the name! Beautiful. I seriously am so happy for your family, I can't even put it into words. No words truly seem good enough. God is good. I love the name and everything it means. You look so beautiful as a glowing momma! Much love to you and your family on this Easter weekend, friend! such a pretty name! it's perfect! I knew it! For some reason, when you said you were going to tell us her name, I immediately thought of Gwyneth Paltrow and said "Apple" in my head. I was hoping!! It's so lovely, and it's just perfect. what a perfect name and meaning. love it. Recently found your blog. Congrats! Such a cute family!!! btw, where did you get that skirt!? i love it!! Precious meaning. Can't wait to see her little face! This is just so lovely. You are glowing in these pictures. You look so beautiful (As always though!). And that name is one of the most precious things I have ever heard. I am very happy for you and your family and I feel very blessed that you share so much with us. beautiful. truly. how did you come about naming aides and ainsleigh? wishing you nothing but smiles. how did you come about aiden and ainsleighs names? love the name. love your headband. Juuuuust when I thought I couldn't love you more... I DO! It's absolutely perfect Casey! So precious! You make beautiful babies!! :) congratulations :) another beautiful girl to add to your 2 lovelies! just wanted you to know - i soak up your blog. it's super sweet and just gorgeous! Awww......it's beautiful!!!!! Love it Casey!!! Live the middle name too. It gies perfectly with Apple:) so excited for you!!! I love it. Such an incredibly sweet name! Feel good girl! So happy for your precious family! What a sweet name, just like the rest of your littles. Cool name, and awesome thrifted shirt! Could you do a post on how you & Chris decided on your childrens' names? So excited for you & your family! Apple is such a beautiful name and the meaning of it is so lovely and special. I love this name Casey! You can tell that you and Chris put so much thought and prayer into this choice. She will be one lucky Apple of your eye. LOVE YOU GUYS! eeeeeeeee! i love that name...of course i am more of a fan of the unconventional names. we are trying for a 3rd soon. i can't even fit in a pencil skirt now. i'm sure i couldn't preggers. Apple Lucy? I like. very unique. Im in love with this name and with your outfit! you look stunning! SO sweet Casey! What a blessing she will be to you and you to her! <3 LOVE the name! As you know, my sweet baby girl is named Lucy! ;) xoxox Friend! Such a sweet name! All your kids have such awesome names. That is such a lovely name! I am so happy for you and your family! omgosh! a girl!!! LOVE LOVE LOVE!!! congrats!!! shes going to be so super precious! ANother little girl! Hooray for you! And what a sweet little meaning for her name! You look wonderful AS ALWAYS!!! Can I just say you have the prettest hair! I'm your new follower :) Yeah!! Wow! Congrats! I had no idea that's what apple ment. Now I see why gwenth Paltrow named her daughter apple! You look so beautiful! 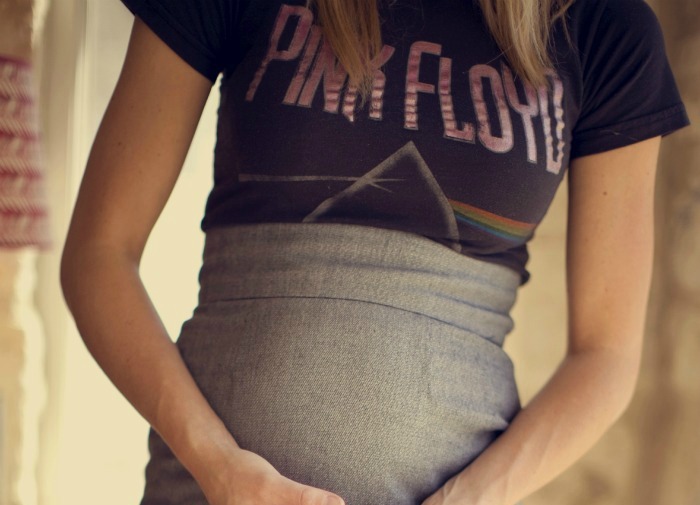 Love the Floyd tee & ur amazing headband! What a sweet name! I love that you searched the Word for it! So cute! I love the name! Congrats on another little beauty. OH MY GOODNESS!!!!! congrats! (i was secretly wishing for a boy bc i think little boys are the absolute most precious things in the world) im so excited for you guys! and i think apple is a great little name! cant wait to see pix, you guys make purty babies!!!!! it's perfect for your sweet darling baby girl. and the scriptures to back up the name choice... priceless. i can't wait to see her gorgeous face in a few months. keep pressing on... keep faith in our God. Casey, I can't get over how cute of a bump you already have! Do you have any idea why you're already showing so much at the stage when most mommies are just starting to show? just catching up on the blog today. first of all. congratulations on your beautiful baby GIRL! so excited for you & the healthy pregnancy thus far. second, girl i fell in love with the name immediately...but after reading your reasons & meaning it became that much more beautiful. apple is going to be a precious daughter to you & the LORD. & i love that you take time & serious thought & prayer in naming the blessings He has given to you & chris!!!!! What a beautiful name and she will definitely be the apple of your eye along with Aiden and Ains--love it! So precious!! Congratulations on yet another beautiful blessing from the Lord!! I can not wait to see/meet her. 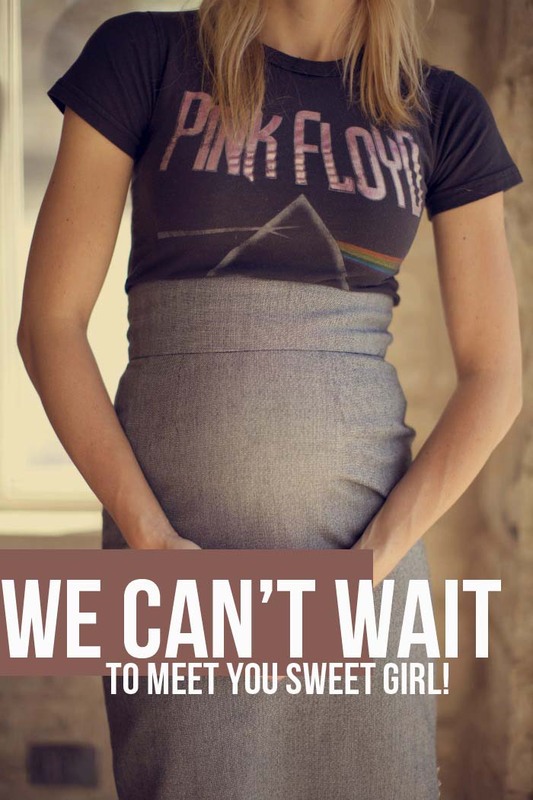 The photos are beautiful & I especially love the old school Pink Floyd tee!